Most entrepreneurs I meet present themselves as confident, resilient and savvy people who are quick on their feet and always ready to pitch their company to potential clients or investors. Science students could truly benefit from this kind of training to communicate the value and excitement of their science. Storytelling is especially important in science because, as someone once said to me, science is not complete until it is communicated. We often hear that students need to be thinking in ways that are more entrepreneurial and innovative. Perhaps it is time to remind science students that they already are entrepreneurs. The latter launch startups to fill a need in the market while scientists find answers to fundamental questions and often come up with solutions for some of the world's most pressing problems. Both need to "sell" their findings -- scientists to governments and other scientists, entrepreneurs to venture capitalists, to obtain funding. Most entrepreneurs I meet present themselves as confident, resilient and savvy people who are quick on their feet and always ready to pitch their company to potential clients or investors. Science students could truly benefit from this kind of training to communicate the value and excitement of their science. Below are some key elements that should be incorporated into training scientists. Storytelling is especially important in science because, as someone once said to me, science is not complete until it is communicated. To sell their ideas, scientists must learn the art of storytelling. "If you relay information through narrative, people are more likely to emotionally connect with it and remember the details," reports Marketing magazine. Steve Jobs, one of the most renowned entrepreneurs of the 21st century, was a master storyteller. He was known for constructing a narrative when introducing new products at Apple's annual shareholder meetings. Learning the art of storytelling will help scientists take control of their narrative. For example, the so-called "mad cow" disease is an example of bad storytelling and terrible terminology. The name given to this challenging disease leads to perceptions, inaccuracies and more challenges. A better story than the one played out in the media is as follows: Bovine spongiform encephalopathy is a complicated name for a rare disease that can affect farmers' livelihoods by killing infected cows, and which can, very rarely, impact regular members of the public when they have consumed infected meat. Detection and understanding of this disease mean that we can now prevent its spreading and infecting members of the public while supporting farmers who have been affected. Networking is key to making connections and forming productive relationships. Having an "elevator pitch," by which professionals tell their stories in about 30 seconds, would help scientists become better networkers at conferences and events. Here's an example: My name is Imogen Coe and I'm a cell biologist and Dean of the Faculty of Science at Ryerson University, where I work to make science fun and accessible to the local community. I'm also passionate about advocating for women in STEM and encouraging girls to enroll into STEM majors. Essential to networking are business cards, but science students are typically not expected to have business cards. As is often the case, we hear: "I only got business cards when I got my first real job." This is a cultural shift that needs to happen. 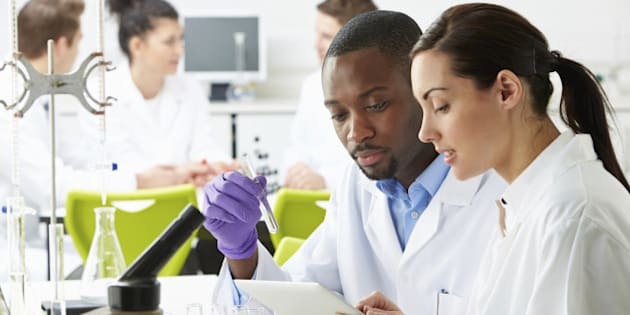 Science students, like their business counterparts, need to start thinking early about marketing themselves in positive ways, telling their stories and networking with groups and organizations that can support and help them. To communicate their science to the world, scientists must have self-confidence to do so. Ryerson University's Athletics Director and popular Tedx speaker Dr. Ivan Joseph defines self-confidence as the belief in your ability to accomplish the task at hand no matter the difficulty. He suggests that the best way to build self-confidence is by repeating that task. "You need to practice over and over and over again until the task is no longer novel." The more frequently scientists present their work and communicate it to the world, the better they become at it. In my role as Dean of the Faculty of Science at Ryerson University, I'm constantly looking for ways to make professional and personal development as part of the programming to encourage students to think of themselves as entrepreneurs. For example, we are holding an upcoming social media workshop to help students build online presence and effectively use the powerful tools of social media to tell better stories. Teaching our science students to think of themselves as leading social innovators and entrepreneurs will help them develop the confidence and skills to build careers that will change the world.